Traditionally, communication with a mobile concrete mixer flowed in one direction — from the unit back to the office typically in paper form. But now, with both AP Office and AP Mobile working jointly in real-time, information goes to the unit and then directly back to the office. After an order is placed, dispatch enters the job parameters into AP Office. 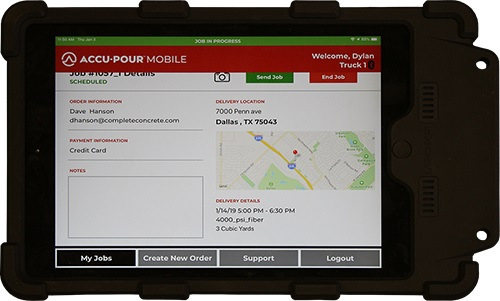 AP Mobile then receives those parameters and wirelessly sends all information to the mixer. The operator completes the pour, while all production data is automatically sent back to AP Office for analysis. For more info about Cemen Tech, click this link.